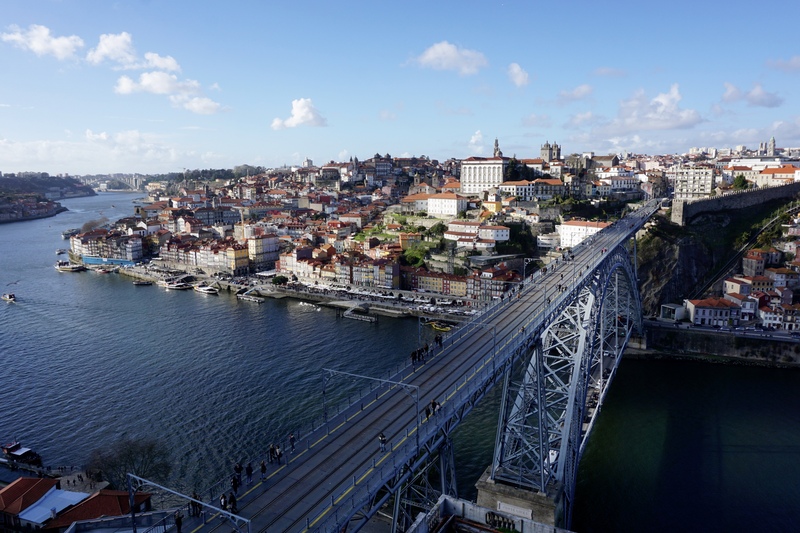 Porto is probably the second most popular city in Portugal after Lisbon. 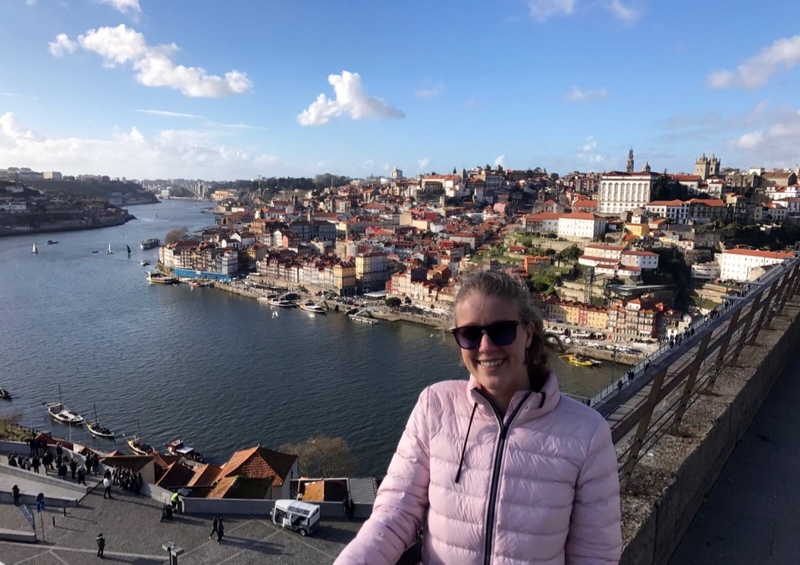 Situated in the north west of the country, near the Costa Verde and on the banks of the Douro river, Porto has always been an important harbor. The city is mainly known for the drink that caries its name: port wine (or “porto”). It’s a bit too strong for me, but you can’t leave Porto without tasting its most important beverage. 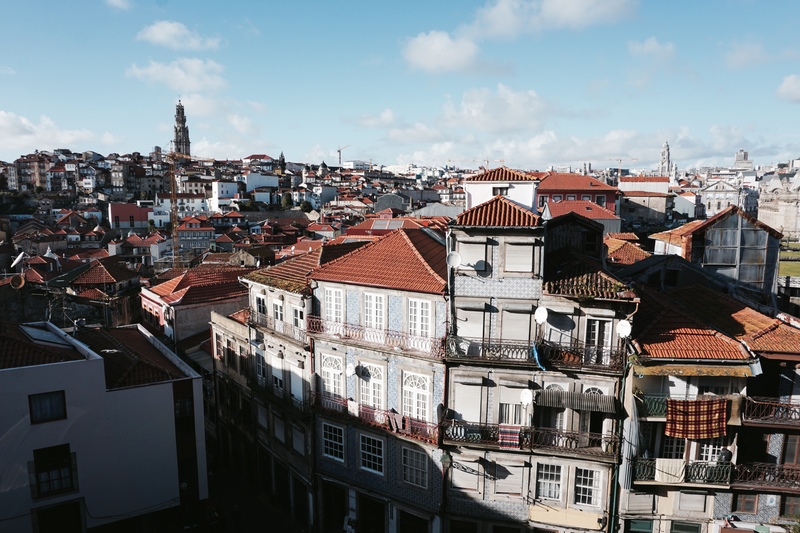 When I was in Porto, I stayed one night in an Airbnb. 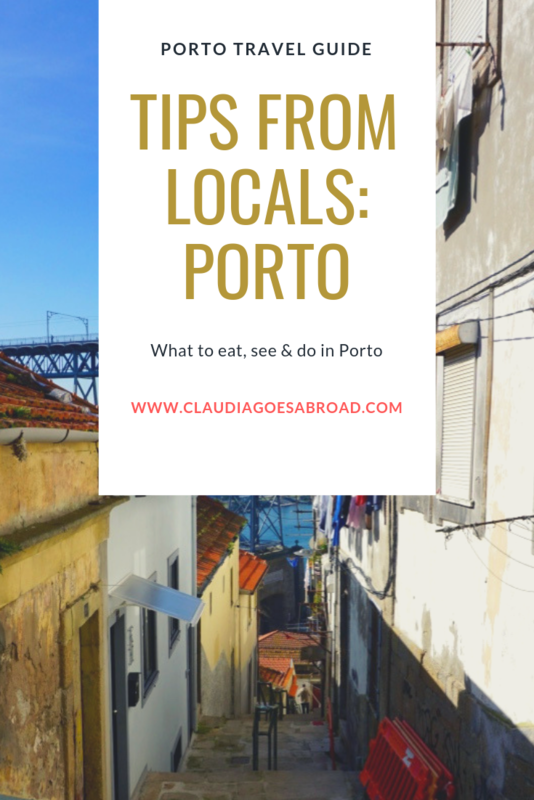 The host, a local from the city, offered me a glass of port wine upon arrival and gave me all his best tips for what to eat, see and do in Porto. You will find the Passeio das Virtudes near the Jardim das Virtudes park, which consists of several layers of terraces and offers great views over the river. The Passeio is a popular hangout place for local couples and groups of friends during sunset hour. 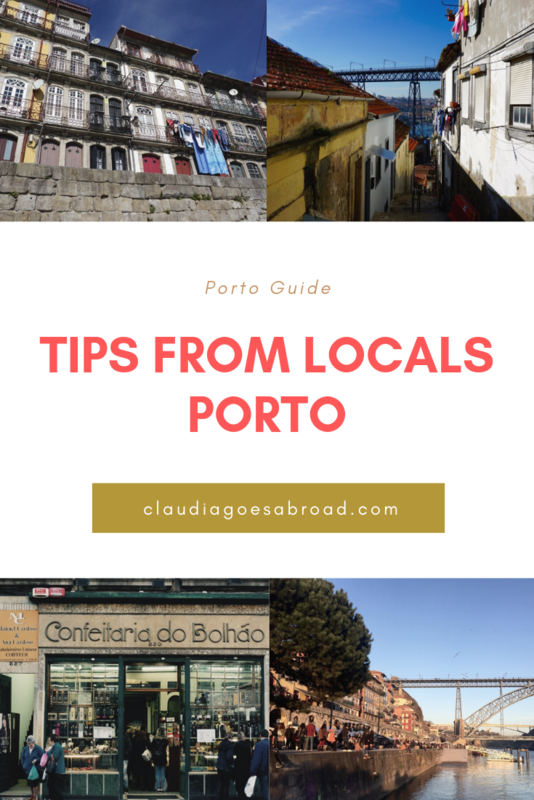 The coastal town across the river from Porto is called Vila Nova de Gaia. The two places are connected by the bridge Ponte de Dom Luis. 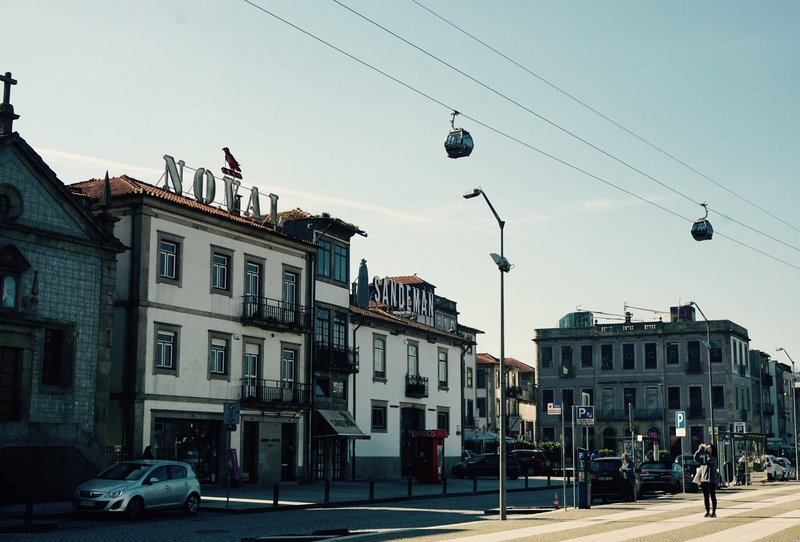 Vila Nova de Gaia is the epicenter of all port wines. Logically, it’s here you need to go for elaborate tasting sessions. You’ll also go here for cosy terraces with a view on Cais da Ribeira, the colorful facades you often see on postcards from Porto. From the gondolas of the Téléferic, which takes you all the way up to the Monasteria, you have an amazing view over the both the cities. 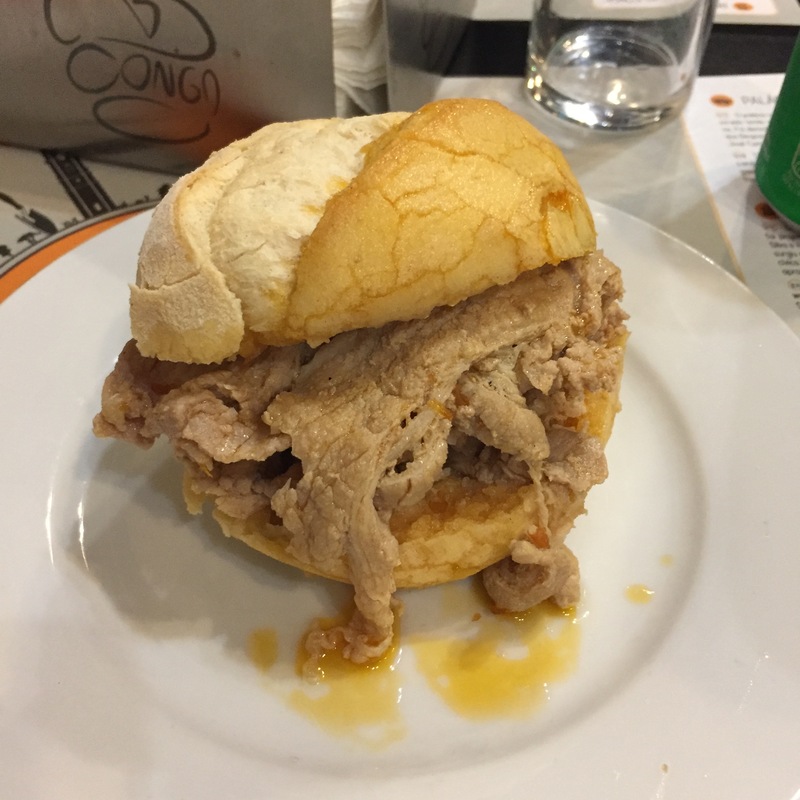 A typical dish from Porto is bifana. It’s basically a crusty bread roll stuffed with thinly sliced pork and a light but spicy sauce. The secret recipe of the sauce is key in this dish. Conga is the place to go for bifanas so I was told by my host. The snackbar was founded in 1976 and you’ll only see locals frequenting the place. When I wen to try the famous dish, people looked like they had seen a ghost. Maybe they thought I’d got lost? The historical restaurant Guarany is located near Avenida dos Aliados. Just like Café Majestic, it is one of the oldest cafés / restaurants of the city, only my host says that Guarany you get more value for money here. Whether you sit inside or outside doesn’t really make much of a difference, that’s totally up to you. My host said this is the ideal location to try another typical dish though: francesinha. Basically it’s a sandwich with ham, linguiça, fresh sausage, steak or roasted meat. Everything is covered with melted cheese and some kind of tomato sauce. You get fries on the side and ideally a fresh beer. Amongst the oldest and most popular coffee shops you can also find Confeitaria do Bolhão. The shop is situated across from the entry of Mercado do Bolhão and it’s always crowded. I didn’t get a single chance to try their famous coffee or cakes. Why don’t you give it a shot? You might get lucky. The locals go to Tashinha or Mirita for pre-gaming. The Rua dos Martires da Liberdade are always vibrant and crowded over the weekend because of the cheap drinks and buzz. Once you’re really ready to party the night away, you can tag along with the locals to Galerias de Paris. These are two parallel streets lined with clubs. It’s the main party area of Porto. No, museums don’t often make it into my recommendation lists. Unless they’re special. And this place is a restaurant gone museum. You can see several Portuguese dishes and… you can taste them too! You’ll find this tapas restaurant in Travessa de Cedofeita. It’s quite a romantic setting with authentic foods to try. Thanks for reading till the end! Do you also prefer tips from locals over tourist guidebooks? Do you try local dishes while traveling to new places?